(1) this is the way baby mac reads. look at that posture! only someone totally absorbed by a story could strike that pose. 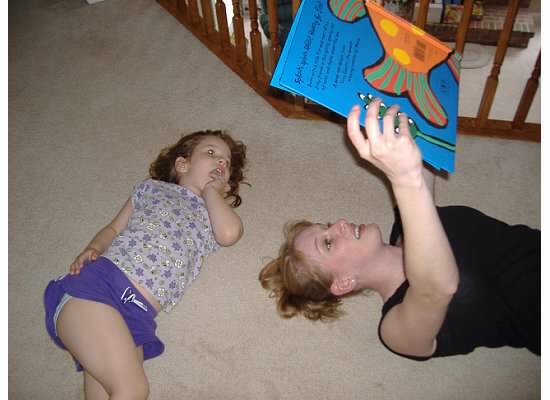 (2) this is the way my other niece, MMM, reads now. (3) this is the way she began. (4) this is the way MMM and i read together. 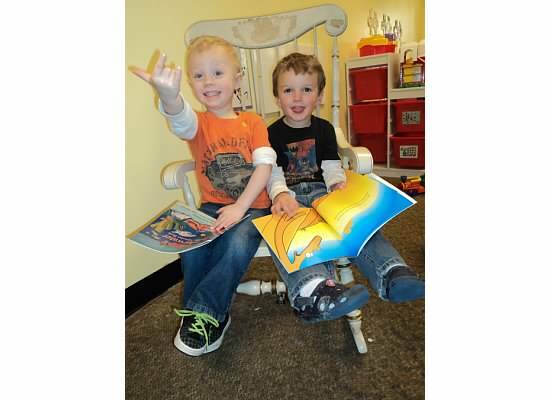 (5) this is the way my nephew L reads and shares and smiles. nephew L is on the right. how did YOU start reading? or, simply, what makes YOU smile? This entry was posted on July 20, 2012 at 8:00 am and is filed under feelings. You can follow any responses to this entry through the RSS 2.0 feed. You can leave a response, or trackback from your own site. Awww. I love seeing kids with books! And, man, I do envy your posture. No way could I do that now. the picture of baby mac arrived this week and i couldn’t stop laughing. i knew i had to share it. 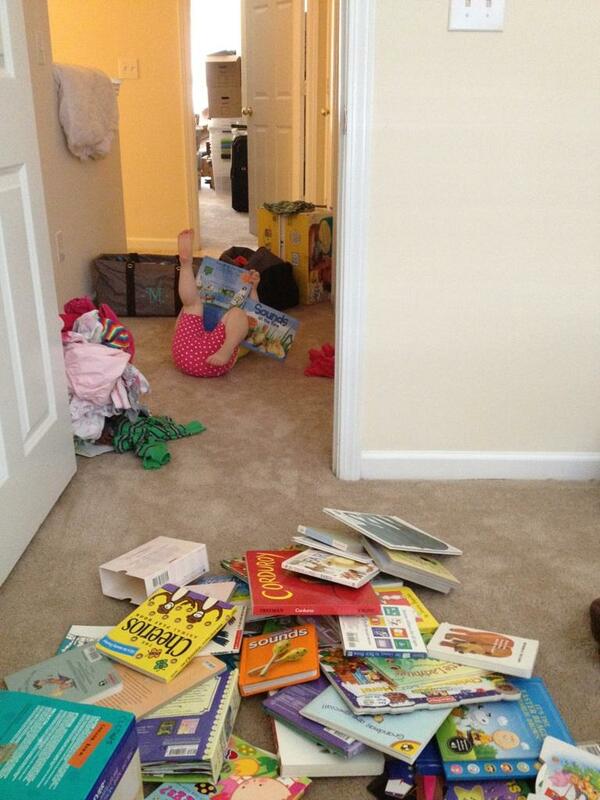 and then my sis-in-law M complied and sent me some other pics of her kids and books. i’m so glad reading runs in my family! aww, so cute! all of them! I don’t remember any picture of me reading as a little kid, but there must be some… I’ll have to look next time I’m at my parents’ place. i assume this is your answer to what makes you smile? agreed. kids are so hilarious.